Pre-Engineered Security Gates & Screens take a creative approach to storefront enclosures in malls, airports, university buildings, and other facilities with multiple independent spaces. In contrast to bulky metal security gates, coiled wire fabric offers a secure, visually appealing safeguard for your space. 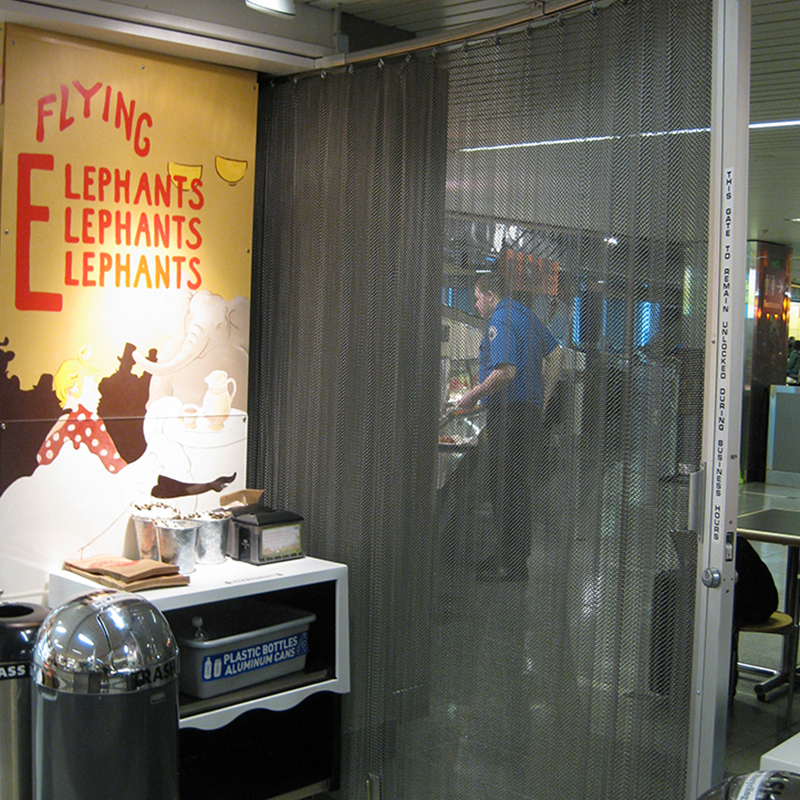 Coiled wire fabric is also the perfect material for kiosk-style shops and information hubs located in open areas; these customizable systems can provide up to 360° coverage if necessary. The fabric is offered in coatings and finishes that can be custom-matched to specific paints codes to meet your most imaginative design visions.